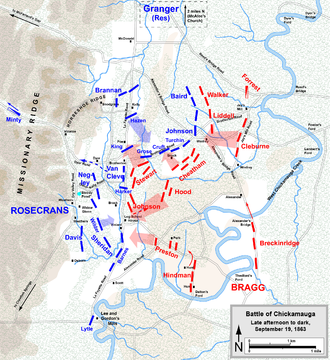 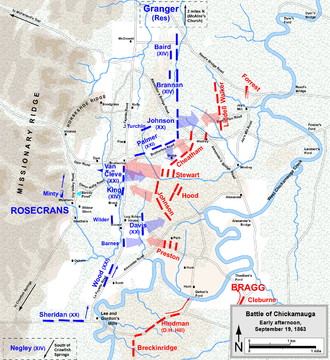 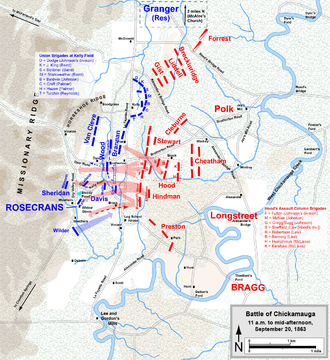 The Battle of Chickamauga, fought on September 18 – 20, 1863, between U.S. and Confederate forces in the American Civil War, marked the end of a Union offensive in southeastern Tennessee and northwestern Georgia — the Chickamauga Campaign. 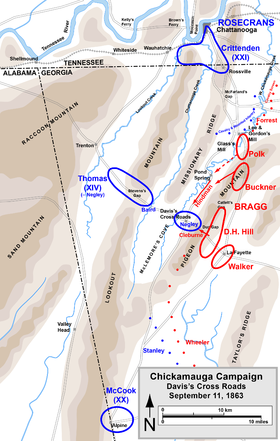 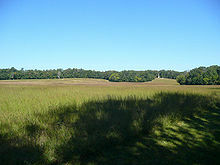 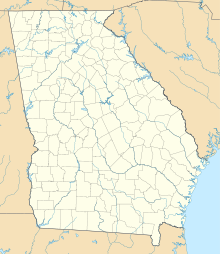 It was the first major battle of the war fought in Georgia, the most significant Union defeat in the Western Theater, and involved the second-highest number of casualties after the Battle of Gettysburg. 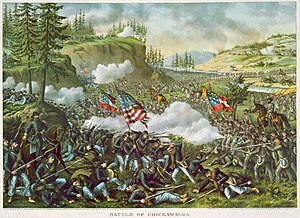 The most plausible etymology for Chickamauga is that it is from the Chickasaw word chokma "be good" plus the verb ending -ka. 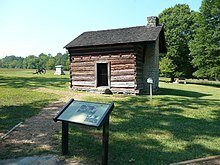 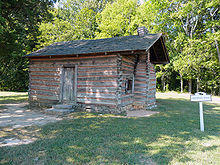 The Chickasaw town of Chickamauga was located at the foot of Lookout Mountain. 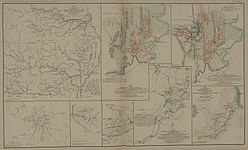 Cavalry Corps, commanded by Brig. 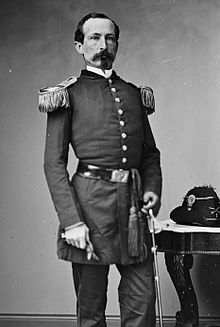 Gen. Robert B. Mitchell,  10,078 present with division commanders Brig. 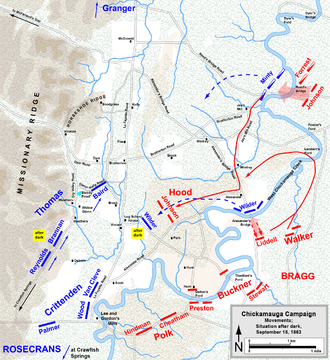 Gen. George Crook, and Col. Edward M. McCook.